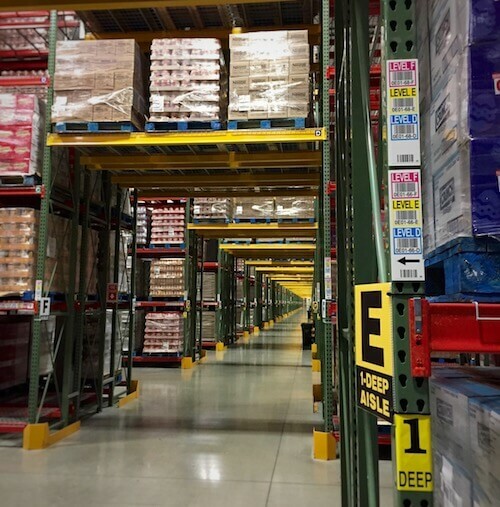 6 Advantages of Vertical Location Warehouse Rack Labels | ID Label Inc.
Barcode labels are a vital part of an organized and efficiently run modern warehouse. Each label –whether on a pallet, tote or beam – is loaded with a host of product and location information essential to the management and movement of inventory. For warehouse rack labels specifically, there are a couple of options to consider. 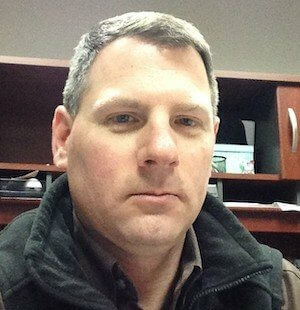 In this post we speak with Ken LeBlanc, an ID Label business development manager based in our East Coast office, to get his thoughts on the advantages of using vertical location labels. Vertical location labels are often color coded by level to minimize scan/pick errors. Man Up or Man Down? This is often referred to as a “man-up” process, as the worker is literally up at the physical location during the scan process. What Information Is Contained in a Vertical Location Label? 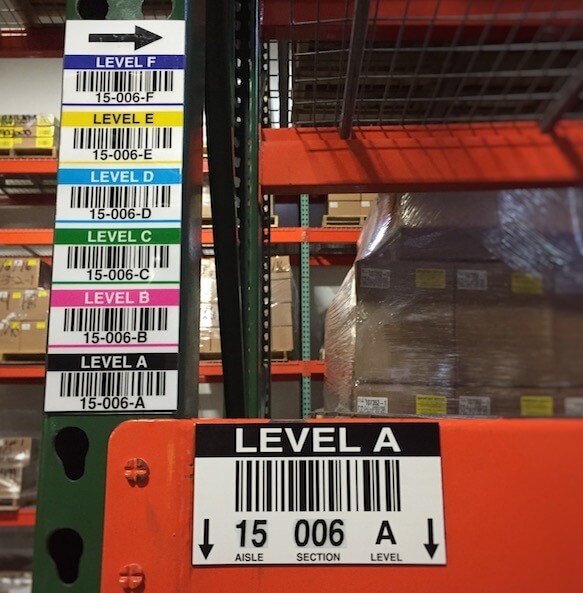 A vertical location label is a grouping of barcodes that contains specific information for each level of racking within a bay in a particular aisle. Vertical location labels are typically accompanied by rack location labels – companion labels, in ID Label terminology. These companion labels are used on all rack levels at the physical location for inventory or cycle counts. The companion label is also color coded per level to correspond to the colors used on the vertical label. 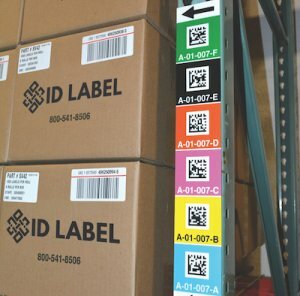 ID Label Inc. manufactures extremely durable warehouse rack and bin location labels. Our materials have been tested and used in operations around the globe. Vertical labels are also ideal for rack tunnel areas where overhead bays are used but access to beams is limited. Other options can include vertical magnet labels or even PVC-printed labels secured to racking with zip ties.